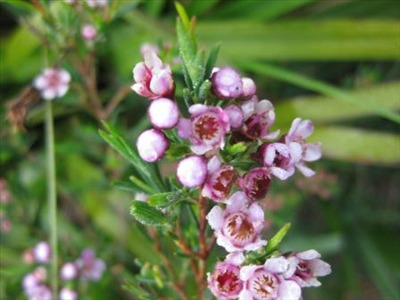 Australian Native Plants, located in Ventura, CA, is a leader in ornamental trees and shrubs for Mediterranean gardens. Shop the online store or come visit us (by appointment only). 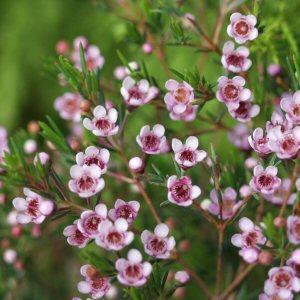 n ornament shrub with profuse pink flowers and dark grey-green scented foliage. Excellent landscape shrub for perennial gardens. Great cut flower. Description: View a list of all the categories associated with the plants arranged in a visual design where the size of each category is determined by the number of plants associated with that category. Description: Select from the list of the most requested plant categories. Hardenbergia, Acacia, Senna and Casuarinas have nitrogen-fixing nodules on their root systems to help provide nitrogen for other plants close to them?